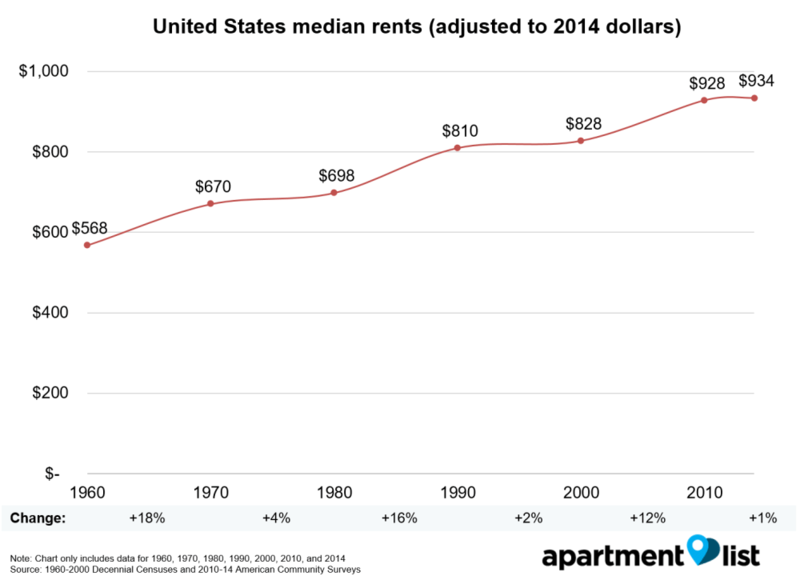 How Has New York Rent Changed Since 1980? Rents have moderated recently in expensive metros like San Francisco and New York City, but continue to climb rapidly in Dallas, Seattle and Denver. In Houston, Detroit and Indianapolis, incomes have actually fallen in real terms, while rents have risen by 15-25 percent. 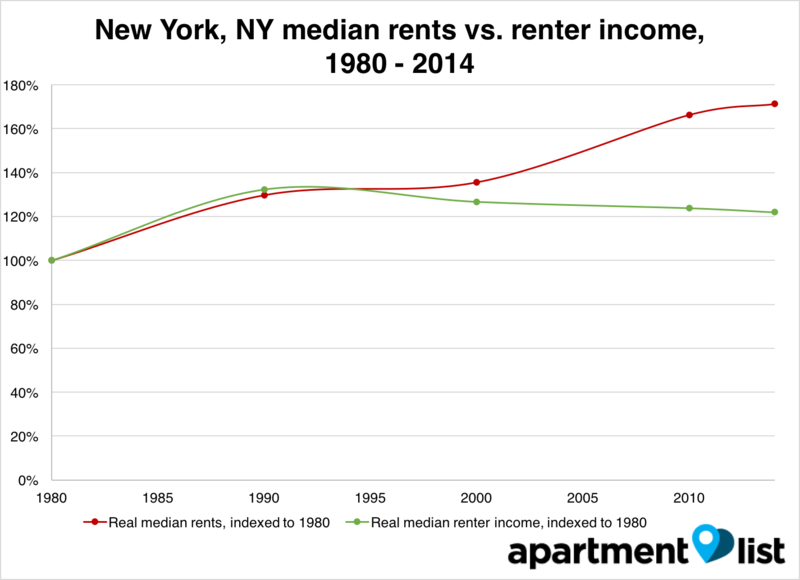 From 1980 to about 1995, NYC rent and renter incomes increases fairly matched each other, with incomes slightly outgrowing rent rates. With rents rising in cities and states across the U.S., many renters struggle with affordability. In Miami, Los Angeles and Orlando, for example, more than 55 percent of renters were cost-burdened in 2014, spending more than 30 percent of their income on rent. To better understand how rents and affordability have changed over time, Apartment List analyzed Census data from 1960 to 2014. It found inflation-adjusted rents have risen 64 percent, but real household incomes only increased 18 percent. 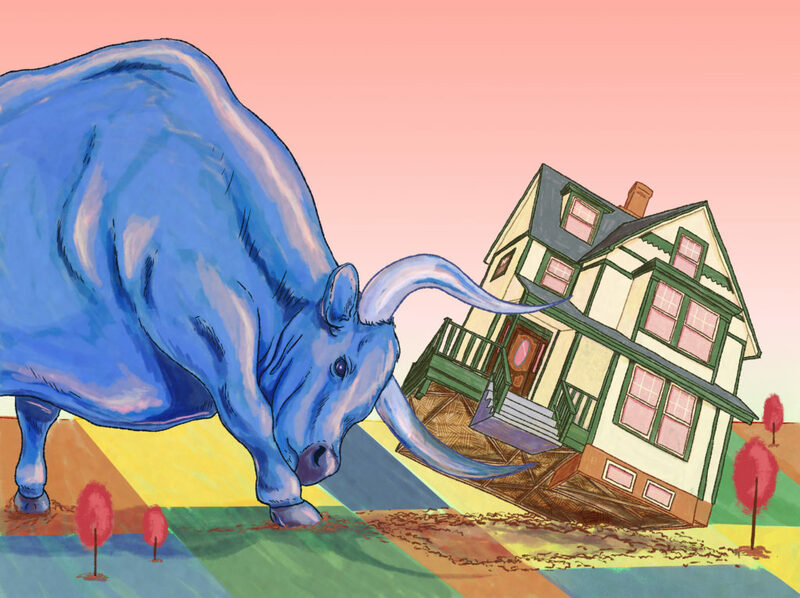 The situation was particularly challenging from 2000 – 2010, when household incomes actually fell by 9 percent while rents rose by 18 percent. As a result, the share of cost-burdened renters nationwide more than doubled, from 24 percent in 1960 to 49 percent in 2014. These trends are repeated in cities and states across the country. Since 1980, incomes in expensive areas like Washington D.C., Boston, and San Francisco have risen rapidly, but rents have increased roughly twice as fast. In Houston, Detroit and Indianapolis, incomes have actually fallen in real terms, while rents have risen by 15-25 percent. The only urban areas where incomes kept pace with rising rents were Austin, Las Vegas and Phoenix. From 1980 to about 1995, NYC rent and renter incomes increases fairly matched each other, with incomes slightly outgrowing rent rates. Since about 1995, however, the gap between the two widened substantially, with rents increasing much more quickly than incomes. This led to an increase in the number of cost-burdened renters in the Big Apple, just like the rest of the nation and other coastal cities. To see Apartment List’s full article, click here.